Should I get a dog? That is the question that you need to answer and I am here to help you out. Raising a puppy and living with a dog can certainly enrich your life in a wonderful way. But I am going to start by trying to put you off. Adopting a puppy is a great responsibility and we wouldn’t want to end up abandoning or returning the pup, right? If you found this page is because you are certainly thinking about this huge responsibility and what it entails. My goal is to help you think about everything that could possibly go wrong. Getting a puppy dog is often an emotional reaction that can turn into disaster. You see a tiny pup, the cutest thing you have ever seen and your brain just can’t think straight. But puppies can be a nightmare! The first 2 to 3 years of your dog’s life will be the hardest to get through. These first years are formative to your puppy and you need to be able to spend time training and teaching your dog manners. It may be that you have thought about having a puppy dog for months now. You have considered everything you will need and ask yourself the right questions to ensure that a puppy dog is right for you and your family. That’s excellent. But I still want you to read on. Do you have TIME to take care of a puppy dog? When you ask yourself "Should I get a dog? ", the first thing to think about is time. Dogs are social animals, they don’t like to be left alone. We can teach them to cope with staying alone for a few hours, but if you are away from home more than 10 hours a day, 5 days a week, you may want to reconsider. Puppies and adolescent dogs need time with YOU. A puppy may sleep for a total of 16 hours per day. But he may want to play with you every hour or so (specially when you are back from work, exhausted!). They also need to be taken out to potty every 2-3 hours until they are 4-5 months old. If you don’t do this, you may still spend the same amount of time cleaning their mess! Some puppies may take a few days or weeks to adjust to their new home and night sleeping habits. So, your first few nights may be sleepless. This problem can be solved in a few nights if you ignore your puppy during they night (he will learn that night time is not for playing). Still, you may feel very tired the first week or so after you get a new puppy. Then your puppy grows into an adolescent dog. FULL OF ENERGY! It requires long walks and play time (with you and other dogs) and this carries on to adulthood. 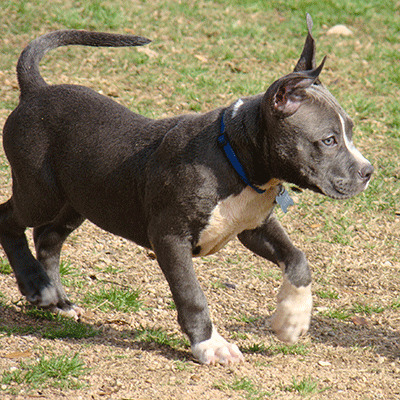 A mentally and physically healthy dog should go out 2 to 3 times per day. Each walk should last 30 minutes to an hour (or more on weekends). "Should I get a dog?" Well, do you like to go party with friends? Maybe spend weekends at a family or friends country home? 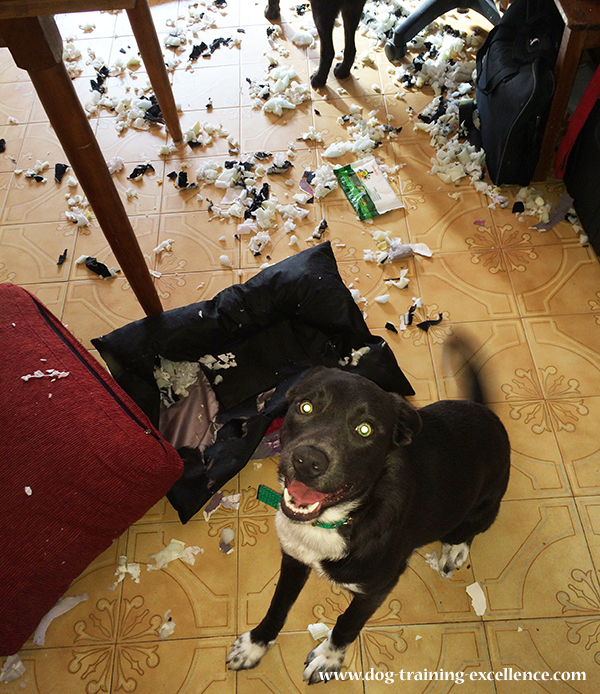 You must to reconsider getting a new dog if you are away from home for long periods of time once in a while. I know many people that leave gatherings and parties early because they need to go walk the dog. Are you ready for this? Of course, you can always hire a dog walker, take your dog to a doggy daycare or take him with you, those are great options! Just make sure you know how much all of it will cost in money and training time. 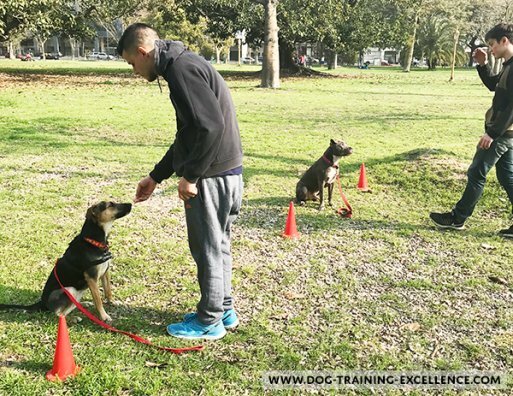 Going to dog training class is a great way to learn how to communicate with your dog while giving your him mental and physical stimulation. The next question is about … FILTH! My next question for you is in regards to dogs being a little filthy and dirty sometimes. Can you handle that? Puppies will pee and poo very often and you WILL step on their pee and/or poo at least once (probably more!). Puppies and dogs may also vomit once in a while, most often is nothing serious, but you will still need to clean it up. Then…there’s the HAIR! You must be absolutely sure you will be happy living with dog hair all over your furniture, clothes, food, anything really. You can brush your pooch everyday and STILL get dog fur all over. Dogs…well, they do smell like dogs. You will get used to the smell, and I am not sure if that is good or bad! It is not recommended that you bathe your dog more than once a month. And, the rule is…the more you wash your dog, the smellier he will get. "Should I get a dog?" If you are happy with a little dirtiness and a lot of dog hair - YES! How about vacation and moving? Once you own a dog, your vacations may become a little more complicated. You may not be able to travel with your pet or find accommodations very easily. You will need to plan ahead of time. Where will your dog stay while you travel? 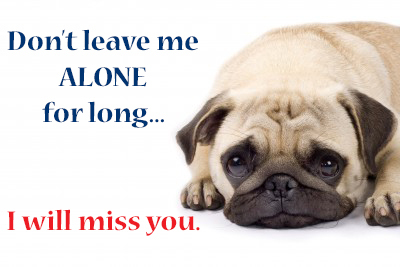 will your dog be ready and happy to stay with someone else? All of this requires training, time and money. It can certainly be done, but I have known dog owners that are slaves to their dogs. They can’t go on vacation because their dog does not want to stay with strangers. So, think about this carefully. "Should I get a dog?" Well, do you travel a lot? Then, maybe adopting a new dog is not the right thing to do at this time. Similarly, you need to think about the future and future moves. If you need to move to a different town, city, or state you will need to find a place that allows pets. Sometimes, this can be hard. If you are going to adopt a dog, be certain that you will be able to take him with you when you move! Are you ready to spend a lot of money? You can certainly keep a dog for a low price. • Dog walker or doggy day care up to $5000 a year but it is also optional. "Should I get a dog?" You can see how things start to add up. And, if your dog happens to get sick or needs an emergency treatment, veterinary care is not cheap. Are you and your family ready and able to adopt a puppy? "Should I get a dog?" These questions are very important, each and every one of them. Sit with your household members and talk about it all. Is anyone in the family allergic to dogs? If the answer is yes. Then you should not get a dog. There are some hypoallergenic dog breeds like Poodles, Yorkshire Terriers, Havanese, miniature schnauzer and more. But the allergic person should spend long periods of time around a hypoallergenic dog and feel OK before adopting one. Do you have another pet in the house? Will this pet be OK with a new puppy? If you have an older dog a puppy may disrupt his life completely. It may be also OK, but you need to think about your older dog's personality and health. If you have a cat, has your cat been around dogs before? You wouldn't want to bring a new puppy home and find out that your cat is now hiding for the rest of his/her life. Is there anyone in the family with a physical impairment or other disability? Maybe an older person that can get hurt when the dog jumps? Puppy dogs like to jump and chew, chase, run and knock things over. Puppies also grow up very fast and keep all that energy (they actually increase it!) So, can the dog accidentally hurt someone in the house? If you have a child with a disability, will you have the time to raise and train a new puppy while taking care of everything else? I have had several clients come to dog training class because the doctor suggested a dog for their child (the child had a developmental disability, or behavioral or psychological health problem). They unknowingly got a dog and were going literally crazy trying to take care of the dog, prevent accidents and take care of their child. A dog may be a great thing for your kid, and if you are certain and committed to keeping it, it will bring great joy to the whole family. But do your research BEFORE you get a new puppy. Talk with every member in your household an make sure everyone understands the responsibility of owning a dog. Everyone should work together and follow the same rules. Should I get a dog? The decision is your! Should I get a dog? If you've thought about all this and it's fine with you, that's great - But if there's any single part of it you're unsure about, my advice would be - wait. Think about it some more. Talk to your family. Ask what they think. Read some more. And then, think again - Should I get a dog? Take a quiz to see whether your family is really ready to adopt a puppy. I know you might feel frustrated with all this thinking - but trust me with this - it's absolutely critical because returning a puppy can be heartbreaking for you and your family. If, after reading this, you realize that maybe this is not the best time to adopt a puppy, don’t feel sad. There are other ways in which you can get your dog-fix (as in addictively needing a dog). I lived my whole life with dogs but when I moved to the US (many years ago) I found myself dogless and unable to adopt one because of restrictions in the place I lived. At the time, I didn’t even have a job to entertain myself and I was desperately feeling the lack of dog in my life. So, I decided to volunteer at the local shelter. It was the best decision of my life! 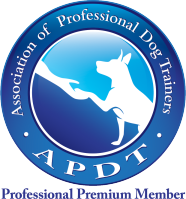 Literally, from then on I have been studying and working with dogs…and loving what I do! And trust me, you won’t regret it. If, however, after reading this article you feel confident that a puppy is in your near future…Awesome! Then, you should get a dog. But lets start getting ready BEFORE you get your puppy. Still not sure if you should get a dog? Try these 22 questions that will help you figure out if you are ready and able to own a puppy dog. 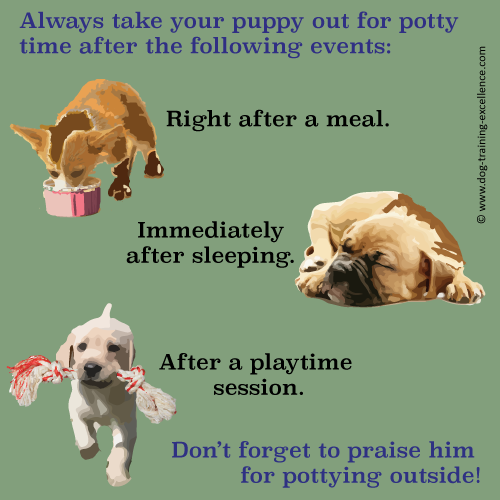 How to potty train a puppy: The ultimate guide. Learn the steps and tools required to housetrain your puppy dog with positive methods. 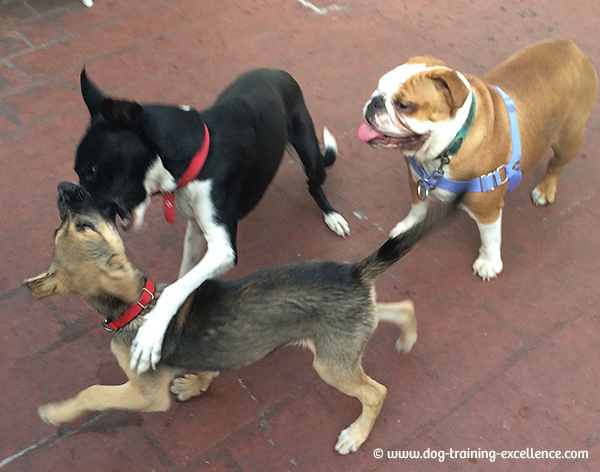 Learn why your puppy needs socialization and how to do it properly. This is extremely important to raise a happy and confident dog. 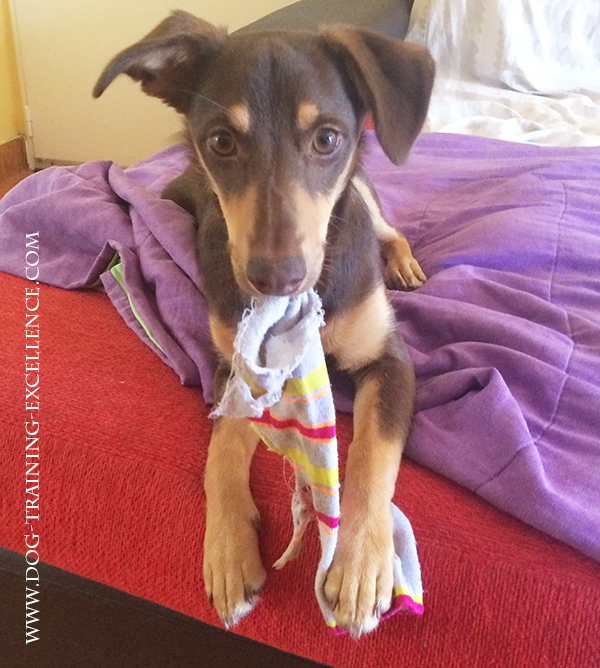 Teach your puppy to control its mouth and play in an appropriate manner with you and its toys. Home > Training a puppy dog > Should I get a dog?